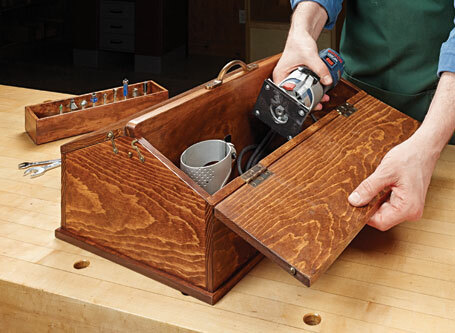 With some basic materials and simple techniques, you can build this handy toolbox with a classic design. 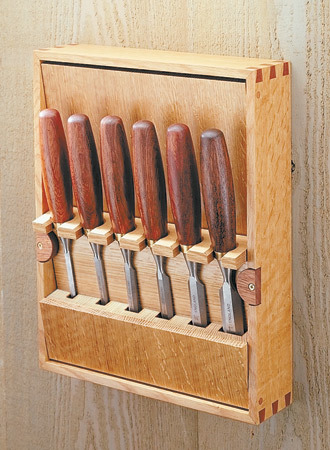 This compact and handsome storage project creates the perfect place for your small hand tools. 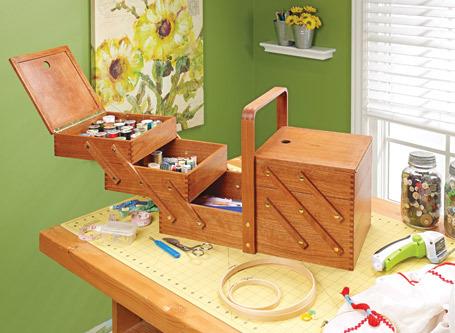 This unique storage project holds supplies in its stacked trays. When it’s time to work, the trays cantilever out for easy access. 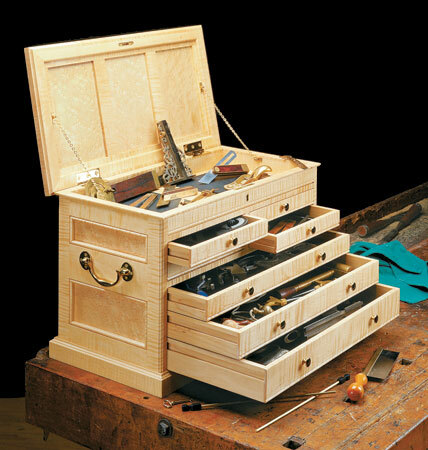 This elegant, compact chest is designed to keep all of your favorite hand tools and accessories safe and secure. 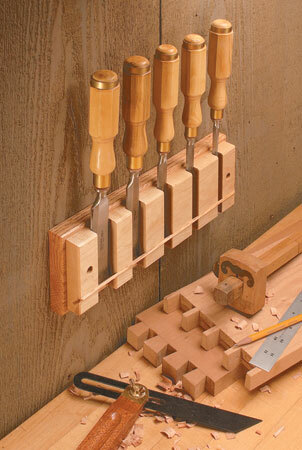 Whether you hang this case on a wall or set it on a bench, a tilting rack keeps your chisels right at hand. 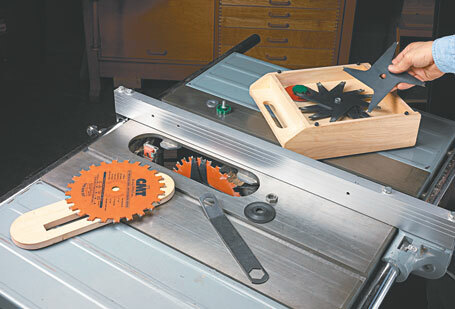 Behind each chisel, sandwiched between the two plates, is a magnet strong enough to hold even the largest chisel in place. 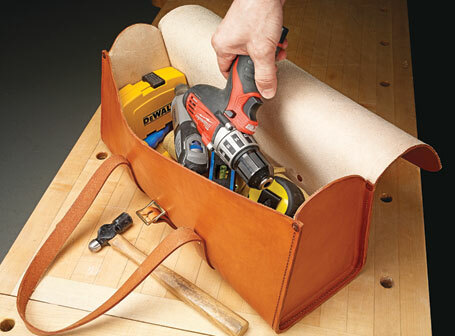 Carry your tools in style with this rugged bag. You can make it in a few days using simple tools and techniques. 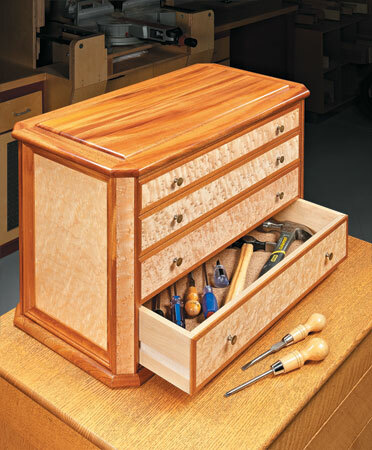 This beautiful, traditionally styled chest will make the perfect home for your most prized hand tools. 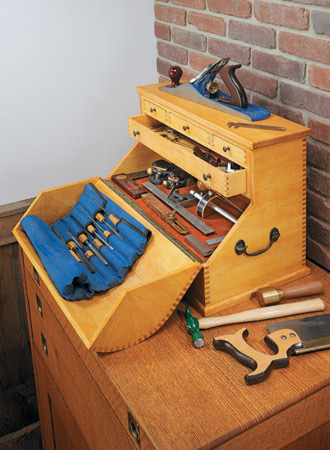 Classic box joints and a coopered lid combine to create a stylish home for your tools. 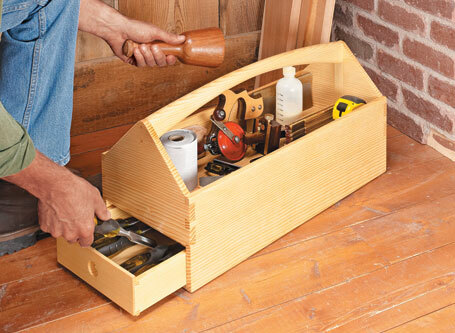 Use your dado blade to build its own storage case and keep everything organized and protected. 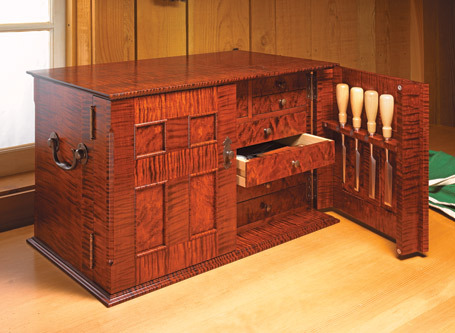 Classic joinery and a unique drawer catch are sure to challenge your skills. 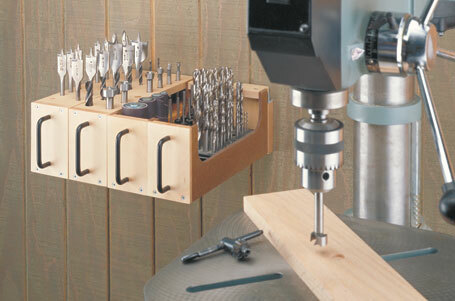 If your drill bits have a habit of disappearing into a "black hole," build this handy storage system to keep them close by.